Koh Chang, part of the Mu Koh Chang National Park, is the largest and most popular of the islands in eastern Thailand. It is Thailand's third largest island but is nowhere near as developed or bustling as the two largest - Phuket and Samui. It is, at present, far less touristy and far less well-known. And that's a good thing. It's what attracts sensible people - like you - to come here and not follow the package tour crowds south. You'll find all types of accommodation on Koh Chang ranging from luxury resorts to backpacker beach huts and trendy hostels. And from boutique resorts to package tour 2-star places where you can fight for your poolside sun lounger with visitors from around the world. If you're not sure where to stay, then this handy guide to the best accommodation covers everything from a simple hut to a 5 star resort. If you want to discover more about the island then spend some time reading through the Island Guide section. This covers all of Koh Chang and you'll get an idea about which areas might be best for you to stay, all the time our Map Section brings you the most up-to-date and detailed maps of the island and its beaches. 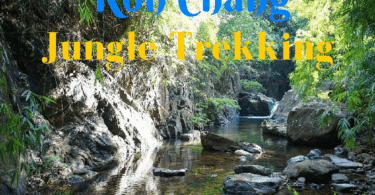 The site is updated regularly and at the time of writing has over 1,000 pages of photos and information, pretty much all of it about Koh Chang, Koh Kood and Koh Mak. Hopefully some of it will be useful to you when it comes to planning your next holiday to the island. But that's a lot of information so . . .
You're almost certainly coming to Koh Chang for a beach holiday. So, here's a brief run down of the island's main beaches. These are all on the west coast, with White Sand beach in the north and Lonely beach in the south. In between, you have Klong Prao - the longest beach on the island and Kai Bae. The are other beach areas and you'll find more about them in the Island Guide which I mentioned above. The closest to the ferry piers and by far the most touristy beach on the island. Everything you need is within easy walking distance of your resort. 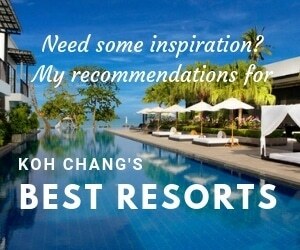 Accommodation is mostly 2-3 star resorts on the beach, the exceptions being KC Grande Resort and Kacha Resort. There'a wide choice of restaurants, plus beer bars, the ubiquitous Irish bar and numerous other watering holes. The longest beach on the island and cut in three by a large estuary in the centre of the beach and a much smaller one near the south. Here you'll find accommodation mostly in larger resorts. The south end of the beach is home to some of the best resorts on the island Emerald Cove Resort, Centrara Tropicana and The Dewa. In the centre of the beach there are two longstanding budget huts - KP Huts and Tiger Hut. There are relatively few resorts for the length of beach and so it's easy to walk a few minutes and find a quiet spot to swim even in peak season. The village is a few minutes walk form the south of the beach. Near the north end, you'll find plenty of small shops and restaurants clustered on the roadside. Also a beach is also a beach of two halves. The south having by far the best stretch of sand. But the northern have having three of the islands best resorts adjacent to each other - The Chill, Gajapuri Resort and AWA Resort. You cant go wrong at any of those. The southern section is where you'll find locally owned bungalow resorts eg KB Resort, Kai Bae Hut, Kai Bae Beach Resort. The main road lies at the back of the resorts and is lined with small shops and restaurants. But unlike White Sand beach, it has a bit more charm and is less commercial. The original backpacker beach. Although it is now moving more upmarket. There are only four places to stay actually on the beach itself. Most accommodation is a few minutes walk south in a busy built up area. This is also home to a lot of cheap guesthouses and huts. But the area is moving more upmarket with Nest Sense and Warapura Resort being the picks of places to stay. And Oasis and Little Eden being very popular with 'flashpackers'. Having decided on a holiday on the island and checked out a few hotels, all that remains is to figure out how to get to Koh Chang from Bangkok or elsewhere. Whether you plan on travelling by bus, plane or private car or minibus, you'll find all the information you need in the Transport section. In brief, if you are on a budget then there are regular bus services from Ekamai Bus Station, Bangkok to the mainland ferry piers. Or you can book tickets for a shared minibus that would pick you up from your hotel in Bangkok or Pattaya and drop you off at your hotel on Koh Chang. Private transfers by car or van are also easy to arrange for couples, groups or families who want to get here with the minimum of hassle. 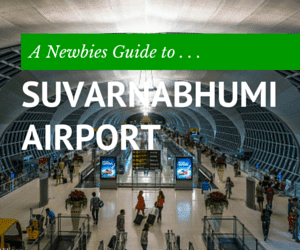 Bangkok Airways has 3 flights a day to Trat Airport, from where Koh Chang is a short minibus and ferry ride away. And an increasing number of people are combining Koh Chang with a trip to Cambodia, either to Angkor Wat or the islands in the south. Again, getting to Koh Chang from Siem Reap or Phnom Penh is relatively simple nowadays. You'll find more on this in the transport section. Hopefully, you'll have a safe, enjoyable holiday on Koh Chang. But don't forget to check out the Health & Medical Care page for some tips of avoiding illness and also getting treatment should you fall sick or have an accident on the island. Finally, if you plan on doing some island hopping, there are short guides to Koh Wai, Koh Mak and Koh Kood which include essential information on boats to the islands, the best beaches and some tips on where to stay. I post regular updates and snippets of info, photos and random ramblings on Facebook and Twitter. 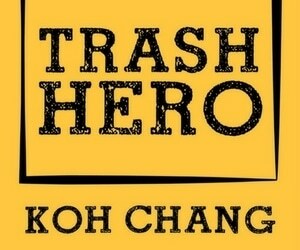 Follow me there for the latest info on all things Koh Chang.